Maine Gov. Paul LePage announced Thursday that he will name hiimself as the state's education commissioner. The move comes two days after LePage withdrew his nomination of Dr. Bill Beardsley for the position, claiming that Democrats were planning to reject him for reasons unrelated to the qualifications for the job. "The Democrats said they were not going to support him, this way I can keep him and he keeps working and when his acting commissioner status leaves he will be deputy commissioner and I will be the commissioner," LePage said during the Lewiston Auburn Chamber of Commerce's monthly breakfast. Adrienne Bennett, the governor's spokesperson, said LePage is well within the statute to do this. Democrats are upset that LePage has stopped the Maine Human Rights Commission and Department of Education from issuing rules protecting transgender students. LePage said the Legislature needs to take action before he can issue rules, which would have the force of law. 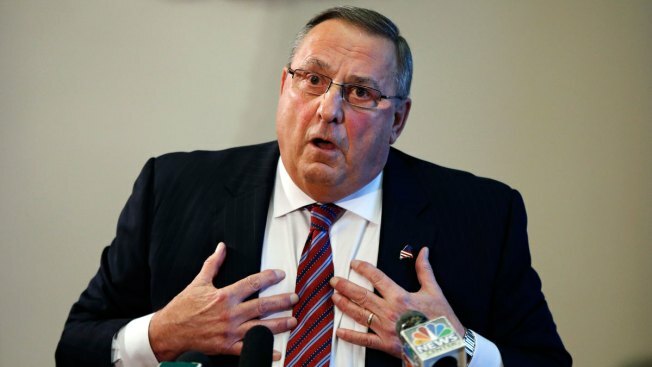 LePage discussed the conflict at length in a news release on Tuesday, saying he will not allow Beardsley to become a "political whipping boy for socialist Democrats." "I am temporarily withdrawing Dr. Beardsley’s nomination because Democrats on the Joint Standing Committee on Education are planning to unanimously oppose him solely for partisan political games, without regard to his impeccable qualifications," LePage said in the statement. "Let me be perfectly clear: I have enormous respect for Dr. Beardsley, and I have full confidence in his qualifications. He is my choice for commissioner of DOE, but I will not allow him to be a political whipping boy for socialist Democrats." LePage told the Portland Press Herald that he would re-nominate Beardsley "once Democrats put aside their childish and immature political games."